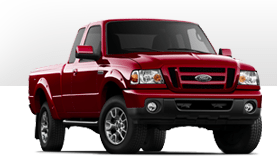 Canada’s five top-selling pickup trucks accounted for 15.3% of all new vehicle sales in the country in October 2012. Sales of GM’s twins plummeted. Individually, the better-selling GMC Sierra slid 32%; Chevrolet’s Silverado fell 24%. Ony 2.7% of the Tacomas sold were rear-wheel-drive. Tacoma 4×2 sales are down 38% this year. Sales of the 4×4 model are up 35%. The Tacoma outsold the Tundra by 494 units in October, but Toyota Canada is certainly not a small truck-based company. 38% of all Toyotas sold in Canada last month were small cars: Corolla, Matrix, Yaris, Prius C.
Ford is most assuredly a truck-based company, however. Four out of every ten Blue Oval vehicles sold in Canada in October was an F-Series. 32% of the Chrysler Group vehicles sold were Ram pickups. As will always be the case in the future, historic brand and corporate totals (monthly and yearly going back to 2004) are now available through the dropdown menu at GCBC’s Sales Stats page, along with results for more than 260 currently sold vehicles. That’s where you’ll find out that Ford also sold 1126 Rangers in October of last year, to go along with 6950 F-Series pickups. This year, Ranger sales predictably dropped, all the way down to just 23 units. In other words, total Ford truck sales barely dropped even as Ford’s total truck offerings were cut in half, in a manner of speaking. Canada’s total truck market will be fully analyzed in the coming days. For now, check out the five best sellers in the table below. Pertinent links are clickable at the bottom of this post.